As great as it is to have a selection of imperial beers delivered to your door, there’s also something sacred about popping out for a beer and good meal. This Scottish institution always has 12 keg lines of great beer from around the UK and further afield, plus a number of bottles of ales. 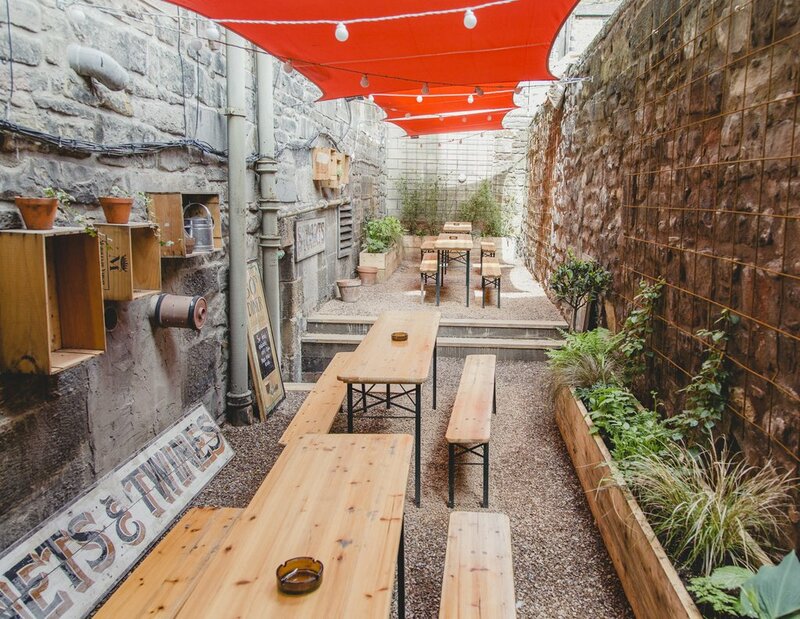 The team regularly hold tastings and events, and if you’re willing to brave the weather, there’s a beer garden. The Salt Horse team offer – as they put it – “a veritable heaven of BBQ and burger delights”, thanks to Jones & Son Bespoke BBQs, their resident chefs for now. On the menu are handmade burgers in a variety of styles and with a host of toppings, such as the bacon cheeseburger, buttermilk chicken burgers and panko-crusted mushroom burgers, all served with hand-cut fries. Recently, buffalo wings were added to the menu and here’s hoping Jones & Son’s famous pulled pork will join the menu soon, too. Cloudwater v12 DIPA (ABV: 9%). Victory Golden Monkey (ABV: 9.5%). This venue started out as a small ground-floor bar and basement on Leeds’s New Station Street in July 2012 and has now expanded due to popular demand, into a larger unit in Leeds and another venue in Ilkley. It has a regularly changing selection of beers – as soon as one beer on one tap runs out, they just substitute in another. 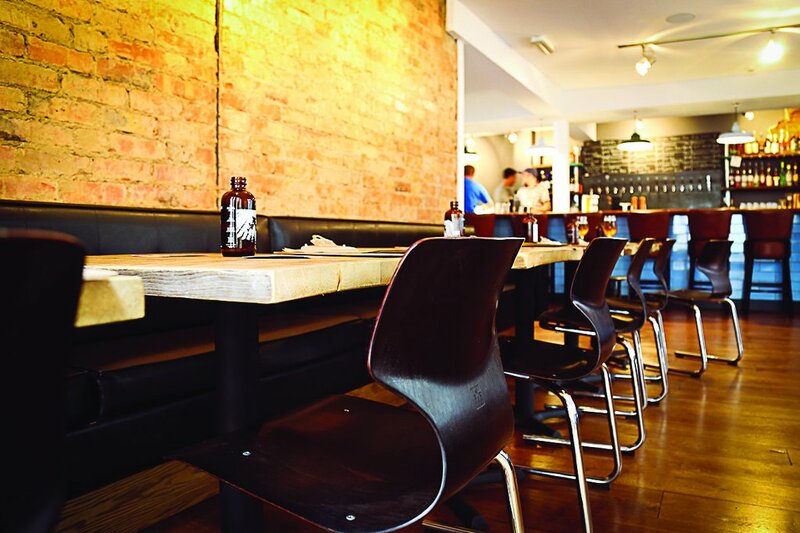 Food options include a formidable brunch offering, with items like the ‘Chorizo Monsieur’ toasted sandwich made with chorizo and cheddar bechamel; or Hot smoked Bath Chaps with poached eggs and bearnaise sauce served on toasted sourdough. There’s a strong selection of sharing boards, too, including: the Mariscos Board, with Smoked Mackerel Fillets, Griddled Octopus, Boquerones and Salt Cod Pâté; and the French Board, with Noir de Bigorre ham, Jésus du Pays Basque and seasonal French cheeses. Just for something to munch, there’s a choice of traditional pub snacks such as pork scratchings, crisps and almonds as well as more modern nibbles, including cornichons, biltong and griddled Botifarra sausage. The Kernel Imperial Brown Stout (ABV: 9.5%). This 18th century pub, in De Beauvoir Town near Haggerston, is the first brewing site and former tap house for Beavertown Brewery, until they expanded and moved to Tottenham Hale. 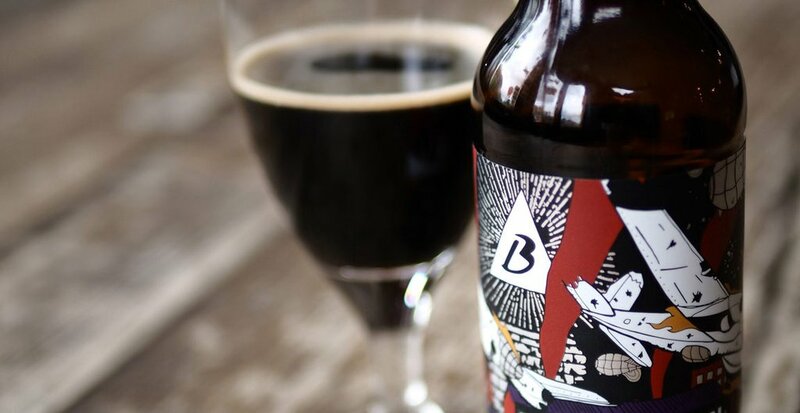 As such, the supply of Beavertown beers on tap or in cans is ample, and often includes: Black Betty Black IPA (ABV: 7.4%), Double Chin IPA (ABV: 8.5%), Heavy Water Imperial Stout (ABV: 9.8%) and their imperial coffee stout collaboration with Caravan, called Spresso (ABV: 9.5%). The food is smoky and meaty, to reflect the owner’s love for an authentic American BBQ. Meat choices include Pork Spare Ribs, smoked over hickory and apple-cherry wood, or the 10oz Flat Iron steak. Burgers are sprinkled liberally with wordplay and include the Cluckin’ Ell, a panko-crumbed, deep-fried chicken thigh; the Onikle Sam, a pork patty with crispy bacon, cheese and apricot chutney; Big Bowser The Beef Wowser, with two beef patties topped with American cheese, bacon and onions; and The Landslider, with pulled pork, BBQ sauce and coleslaw. 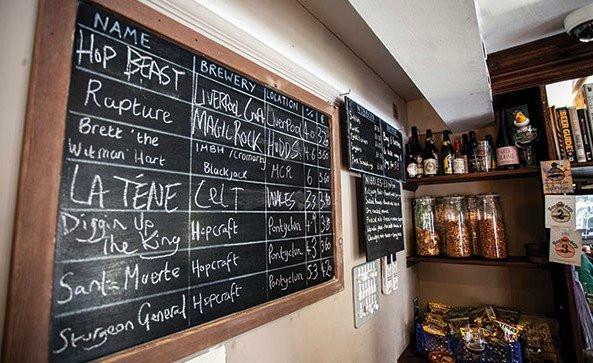 In Manchester’s lively and upmarket Northern Quarter is this watering hole, which serves “craft beers from here, there and everywhere” with an impressive seven taps and 18 eighteen draft lines. They host regular tasting sessions and tap takeovers by by guest breweries – recent events have featured heavy-hitters in the world of craft beer like Brighton Bier, Wiper and True, so stay tuned for more. The food here is now brought to you by the busy chaps at Beehive Food, purveyors of pies and scotch eggs also based in Manchester. The current choice includes Goat’s Cheese and Red Pepper Pie; Bramley Apple Pork Pie; a ‘Manchester Egg’ (which is a traditional Scotch egg but with black pudding instead of pork meat); a Breakfast Egg (a Scotch egg with the best bits of a full English breakfast inside), and the vegetarian Falafel Egg. Westbrook Mexican Cake (ABV: 10.5%). Near Fletcher Gate lies this 140-capacity North California-inspired bottle shop and pour house. 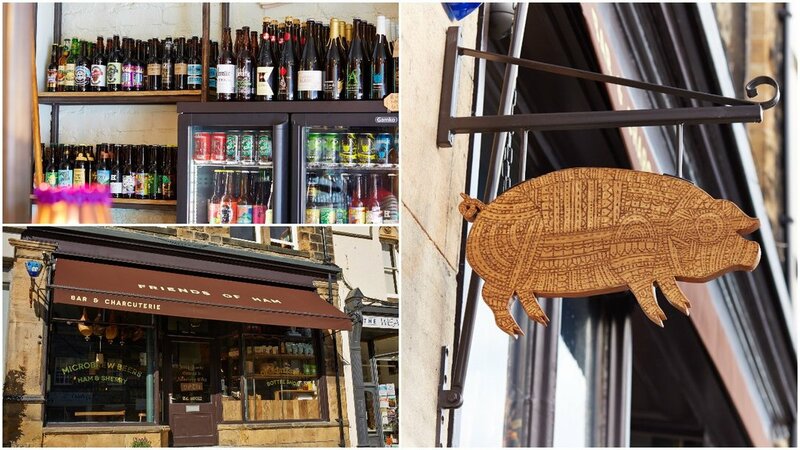 There are 15 taps serving beers from across Europe and the US, and the American drinking culture of the Growler – 3.2-pint jugs that were used transport beer in the 1980s – are warmly embraced. Anyone who buys a Growler and fills it at Junkyard’s taps will receive 25% off the tap price each time, plus exclusive offers. A growler is also what your stomach will be when you see their menu of surprisingly nutritious ‘junk food’. Brunch options, include: Huevos Rancheros, with eggs, chorizo and salsa; Steak & Eggs served with potato and savoy cabbage hash; and Breakfast Waffles with streaky bacon, eggs, maple syrup. For something perhaps a little more suited to dinner, the international menu also offers Short Rib Noodle Bowl with braised short rib in a ginger broth, rice noodles; Squash & Roast Corn Chili with cumin rice, the Kilpin Burger with salami, mozzarella and charred pepper sauce; and the Chicken Taco, with panko-coated chicken breast, guacamole and chipotle sauce. We know that there are plenty of other venues around the UK, let alone around the world, that could have made it onto this list – perhaps we’ll do a Part 2 of this series very soon. In the meantime, what are your favourite places for a great bite to eat and an imperial beer to pair it with? Let us know on Facebook or Twitter. Cheers!